Neighborhood – The town at the base of Blue Ridge Mountains was named for its status as a way station for travelers to take their rest. 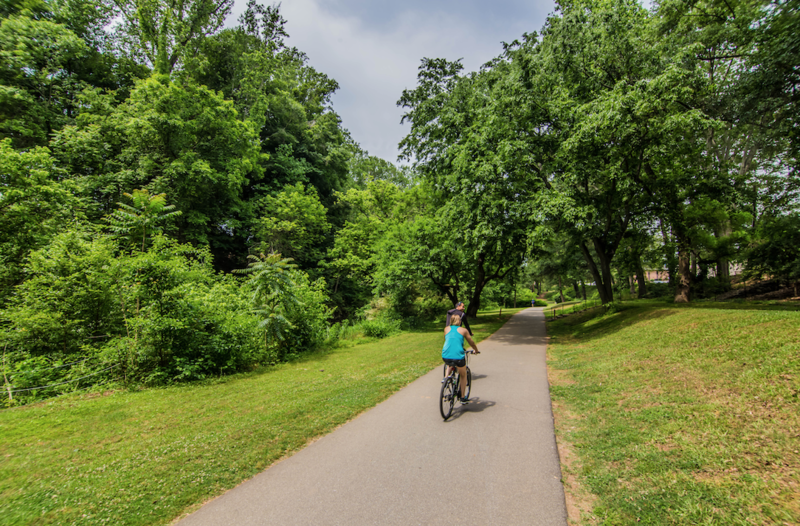 But in recent years, the TR community (as locals call it) has grown to include a charming business district and some of the most beautiful views found within ten miles of the city of Greenville. The community is a gateway to North Carolina mountain cities of Hendersonville and Asheville and owes much to its artsy, pioneering neighbors. Housing – TR most frequently boasts single-family homes on larger lots, although there are planned subdivisions for those wanting a closer, more neighborly style of living. The community is ideal for anyone who desires to live “away from it all,” but not too far away —the middle of downtown Greenville is just 15 minutes away. Lifestyle – Many artists, teachers, and outdoor recreation enthusiasts have helped give Traveler’s Rest its impressively rich cultural life. Nearby Furman University offers opportunities for educational, artistic, and musical events in addition to recreation on its gorgeous campus. Thriving local businesses include Sunrift Adventures outdoor shop, welcoming outdoor pros and novices alike, and The Forest Coffeehouse (formerly known as Leopard Forest), providing gourmet coffee sourced from the owner’s farm in Zimbabwe.